When you look good you feel confident. Get that extra dose of confidence with a trip to Kenzo Unisex Salon. The chain of salons is committed to helping you accentuate your beauty through a host of hair and beauty treatments that are carried out with the use of top quality products and equipment. They believe that the best kind of beauty is one that emanates from within and therefore strive to ensure that the health and vivacity of your hair and skin is maintained, allowing you to experiment with styles that suit you best. 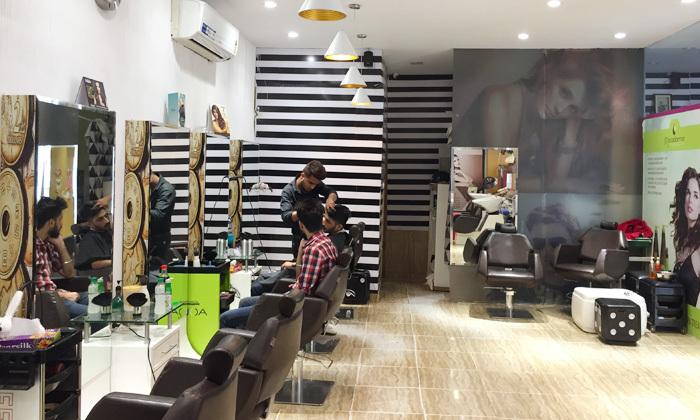 Kenzo Unisex Salon strives to ensure that customers are satisfied with every visit.